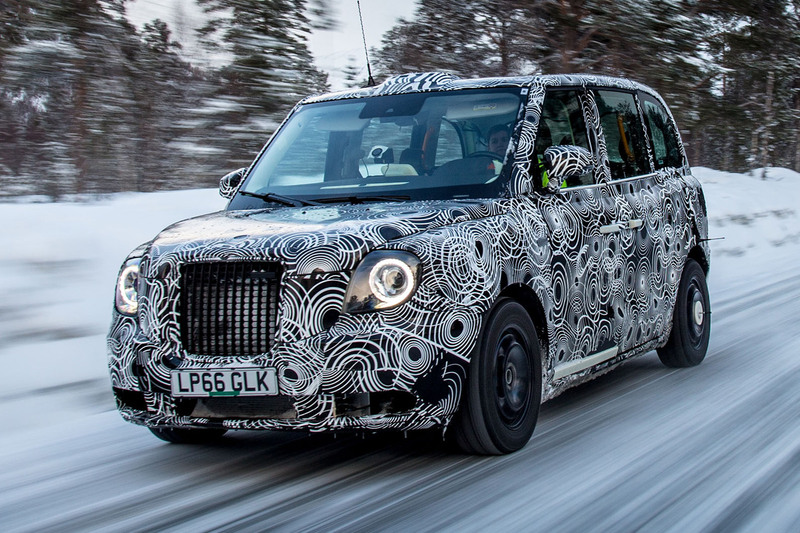 The London Taxi Company (LTC) has opened a new £300 million factory in Warwickshire to produce its new range-extender electric black cab, which will go on sale later this year. An electric van built on the same platform will also be built at the site, which is the first new vehicle manufacturing plant in Britain for more than a decade, and is also its first dedicated electric vehicle (EV) production facility. LTC, which is owned by Chinese automotive firm Geely, also owners of Volvo, says the factory has created more than 1000 jobs. 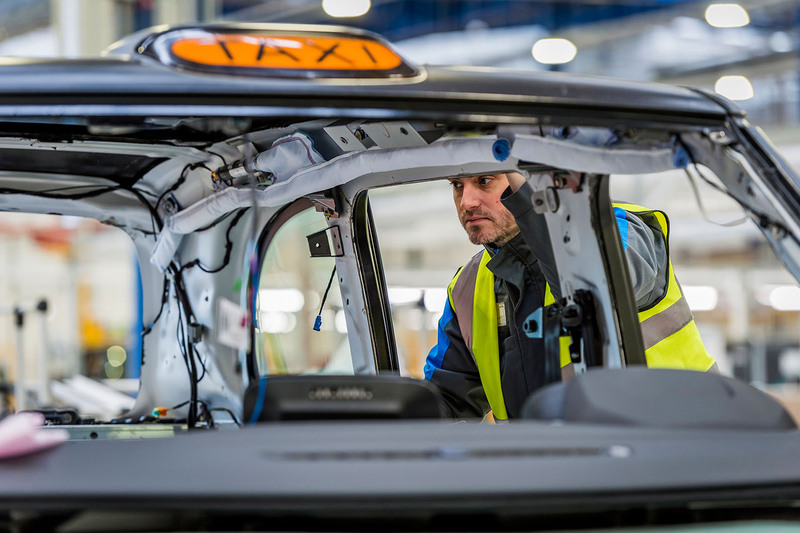 The plant in Ansty, near Coventry, has the capacity to build more than 20,000 vehicles annually and will initially focus on the range-extender electric black cab. Output could eventually reach up to 36,000 units per year. Geely will add a further £25m of investment, as LTC bids to become a world leader in zero-emission capable commercial vehicles. The facility also includes a research and development (R&D) centre for EV powertrains and lightweight aluminium body structures. LTC describes the technology behind the new facility as 'cutting edge', having been developed in collaboration with other Geely-owned companies, including Volvo. LTC CEO Chris Gubbey told Autocar that his company has now effectively become Geely's 'lightweight expert', suggesting its knowledge will be passed on to sister brands in the group. LTC said its taxi uses “proven Volvo electric powertrain system technologies and components comprising a new EV lightweight platform”. The new 1.5-litre three-cylinder engine that’s destined for the Volvo XC40 will first be used as a range extender unit in the new zero-emission black cab. "The difference with the Volvo is that the combustion engine is just a range-extender in the taxi," said Volvo CEO Håkan Samuelsson at the opening ceremony for Antsy. "The engine is a Vovlo engine but it'll be built in China." The taxi vehicle will also get Geely connectivity features that are used in Volvo products. "You will recognise many of the features," confirmed Samuelsson. The electrified taxi will go on sale in autumn this year, ahead of new Transport for London (TfL) legislation coming into play on 1 January 2018, which requires all new cabs to have a “zero-emissions capable” range of at least 30 miles. LTC is also planning to export the taxi globally, with worldwide deliveries starting in early 2018. LTC CEO Chris Gubbey said "There are negotiations in five key markets throughout Europe and they’ve all been successful. Due to the very uniqueness of our product, we can be competitive. “Today marks the rebirth of the London Taxi Company. A company with a singular vision; to design and build dedicated urban commercial vehicles that can operate without emissions in cities around the world and bring down running costs for drivers," added Gubbey. Hope it's a success for all involved. If it's not a success as a Taxi, they could always market it as a Bentley SUV clone. Bet this great news won't make it on Brexit blaming BBC. It is on the BBC. The decision to build this Taxi and factory was taken years before Brexit. So our membership of the EU should be credited with helping to win the work. Lets see if Bre*hit will keep it once companies know what deal the Tories have won for us. If they don't I hope the Mail and Express report the Brexit failures and take some of the blame! Fair play to them, maybe they're onto something with legislation in their favour. Pity no British investors were willing but makes sense for a big company with access to parts bin. With all the flack against diesel car drivers about time we cleaned up the filthy ancient black cab fleet in our cities. Maybe they could make a clean delivery van to capitalise on the growth in home delivery. Does the 70 miles include all the time spent stuck stationary in traffic with lights and HVAC running? What happened to the old LTI factory in Coventry? Electric vans - hopefully better than the previous Coventry effort with Modec which if nothing else showed that it's far cheaper to put an electric powertrain in an existing IC van body than build a low volume vehicle from scratch. Not sure that it's the first new car/automotive manufacturing factory in 10 years. I don't know how things work in London, but round our way taxis run 24/7, operated by a couple of different drivers. The only time the engine stops is at a filling station or when it's being serviced. How will this work if the batteries have to be recharged for a few hours? That's a few hours when the cab is earning zero money. I hope they've designed their factory to be easily and cheaply converted to making engines, or when the electric fad fizzles out they'll be knackered, and no doubt cap in hand to the government for a bailout. Electric cars are going nowhere.